Dulles, Va. – Nov. 14, 2018 – Northrop Grumman Corporation (NYSE: NOC) announced it is set to launch the company’s AntaresTM rocket carrying its CygnusTM cargo spacecraft to the International Space Station for NASA. 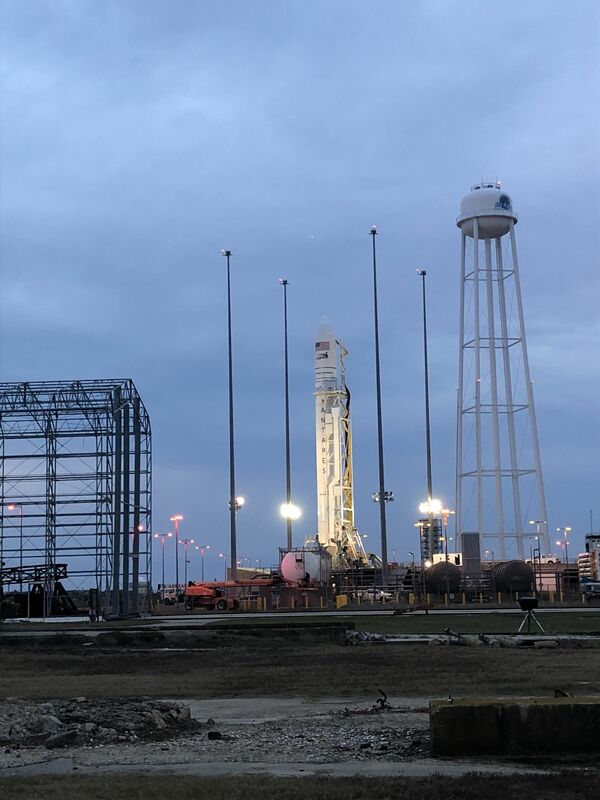 Pending completion of final vehicle testing and acceptable local weather conditions, the launch will take place November 16 with lift-off scheduled for 4:23 a.m. EST from the Mid-Atlantic Regional Spaceport Pad 0A on Wallops Island, Virginia, at NASA’s Wallops Flight Facility. 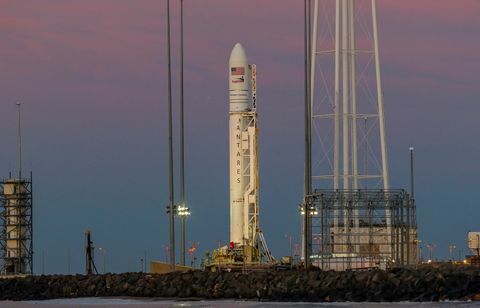 Northrop Grumman’s AntaresTM rocket is set to launch its CygnusTM cargo spacecraft to the International Space Station for the company’s 10th cargo resupply mission for NASA, NG-10. Launch will take place November 16 with lift-off scheduled for 4:23 a.m. EST from the Mid-Atlantic Regional Spaceport Pad 0A on Wallops Island, Virginia, at NASA’s Wallops Flight Facility. The mission, designated NG-10, will be Northrop Grumman’s 10th cargo delivery mission for NASA. 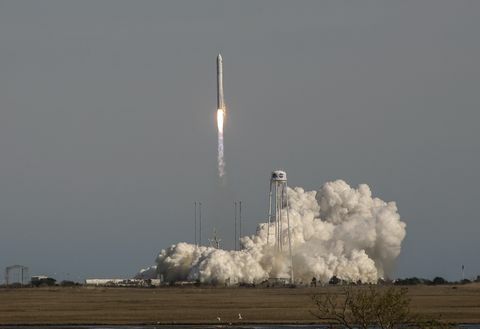 The Antares medium-class rocket will carry a cargo load of approximately 7,400 pounds (3,350 kilograms) of vital supplies and scientific equipment to support the crew aboard the International Space Station. 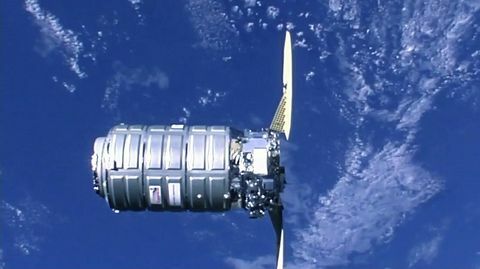 The Cygnus spacecraft is scheduled to rendezvous and berth with the station on November 18, 2018. Northrop Grumman names each Cygnus spacecraft in honor of astronauts and individuals who contributed to the United States’ commercial space program. The NG-10 mission honors John Young, NASA's longest serving astronaut, and a human spaceflight pioneer who helped to lay the foundation for future astronauts to live and work aboard the International Space Station today. Young began his career with the first crewed Gemini mission, Gemini 3, walked on the moon during the Apollo 16 mission, and piloted the maiden flight of the space shuttle, among many other accomplishments. John Young’s bravery and record of NASA "firsts" pushed the boundaries of human space exploration, making him an ideal honoree for the NG-10 mission. Cygnus will be grappled at the International Space Station at approximately 4:35 a.m. EST on November 18, 2018. The spacecraft will remain attached to the space station for approximately two months before departing with up to 7,400 pounds (approximately 3,350 kilograms) of disposal cargo. The removal of these objects is a crucial step in keeping the space station operational. On this mission, the “S.S. John Young” is carrying a student-designed experiment sponsored by Northrop Grumman in a partnership with Higher Orbits, a Virginia-based non-profit, and its Go For Launch! program. A team of high school students from the Go For Launch! event in Dulles, Virginia, captured first place for an innovative science experiment that focuses on the evaluation of self-healing materials in microgravity. Once Cygnus is unberthed from the station, it will reposition to deploy three CubeSats via the NanoRacks External Cygnus Deployment Program from both above and below the space station. This specific NanoRacks’ satellite deployment operation marks the first dual altitude deployment for Cygnus, demonstrating the spacecraft’s capability beyond cargo delivery and removal. The CubeSat known as MYSat-1, is the first satellite developed by Khalifa University in Abu Dhabi, United Arab Emirates. MYSat-1 was developed as part of Khalifa’s Space Systems and Technology Concentration, a joint program established in 2015 in collaboration with UAE-based satellite operator Al Yah Satellite Communications Company (Yahsat) and Northrop Grumman. Engineers from both companies helped develop the initial curriculum for the Concentration, and provided guidance and mentorship during the design phase of the MYSat-1 satellite. The next phase of the mission features an inaugural flight for the Slingshot CubeSat Deployer System which further demonstrates Cygnus’ capabilities beyond its core cargo delivery function. Cygnus is prepared to support Slingshot, a flexible platform that can fly hosted payloads and CubeSats after installation onto the Cygnus spacecraft by NASA astronauts. Upon completion of its secondary missions, Cygnus will perform a safe, destructive reentry into Earth’s atmosphere over the Pacific Ocean. Live coverage of the Antares launch and Cygnus berthing with the station will be available on NASA Television at http://www.nasa.gov/ntv. Details about the mission can be viewed here.